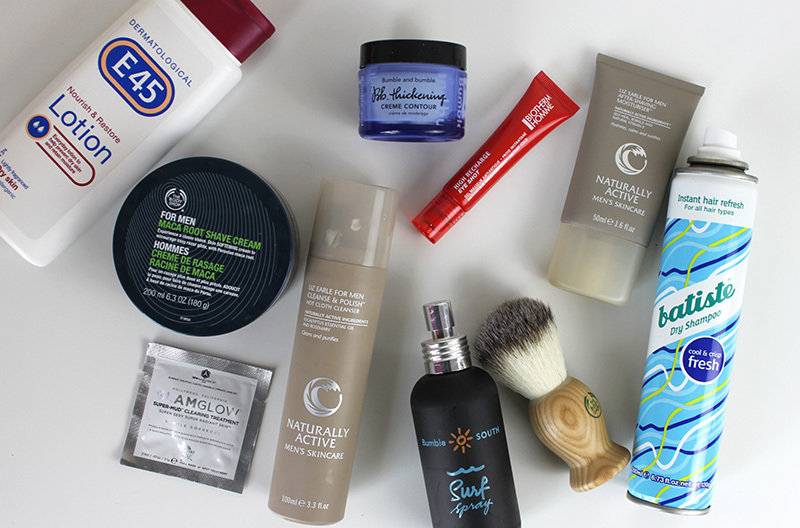 With Fathers day in just two week and since I haven’t ever really spoken about mens beauty on here I thought today I would share my Top 10 Mens Beauty Items. Of course, I’ve had some help from my brother, boyfriend and father to come up with the Top 10. 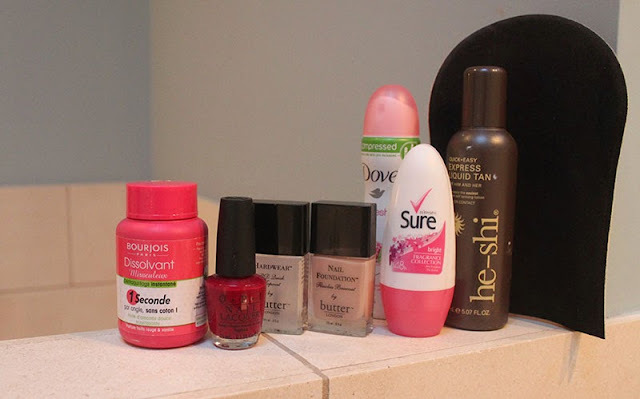 I always try to get my boyfriend to try lots of different products and am always really interested to find out what he likes and actually sticks too. This top 10 is very much a lazy option to beauty, the bare minimum which I think really works for men. This is the only cleanser that has come about and stuck for longer than 2 days. It’s exactly the same as the womens cleanser just in a more man-friendly bottle. It’s not greasy at all, has a fairly neutral scent and comes with a muslin cloth to help remove everything. Similarly to the Cleanser it’s just simple to use, fuss-free and leaves skin feeling very hydrated. I was surprised to hear my boyfriend particularly liked this, it’s designed to reduce the appearance of bags and dark circles. It has three cooling spheres which helps him to think it’s working and also de-puffs the eyes. I love this for men and women but it’s great for any men with particularly congested skin from working out and a slightly neglected skin care regime. After trying numerous Shaving Creams this is the one they have picked; it’s easy to use, affordable, a little goes a long way and isn’t drying at all. As a plus it smells nice and offers a really good shave as it foams up really well. A bit more traditional than I thought they would like but makes applying the shaving cream much easier, it has a solid wooden handle and if fairly soft even thought it’s not an animal hair product. This is some what of a stable but I can not even explain how many bottles my brother goes through. There is nothing fancy about it but it hydrates really well and when stealing my body creams the one criteria is that ‘it’s not fancy’. It’s so inexpensive that they really don’t have to worry about how much they apply but know that it will hydrate efficiently. Can be thrown in the gym bag without any worry and doesn’t have much of a scent. This was some what of a shock but as most boys now have longer hair this is the perfect product if they are in a rush or after the gym, the Fresh is the most man-friendly though as it has a very unisex scent. Although remaining quite light weight this helps smoothen hair but still keeps hair in place. The Bumble and bumble Surf range is great to add texture to hair, particularly if you are looking to add volume or keep your hair up. This one if very unisex and great for anyone looking for a little more texture. What products do the men your life swear by? 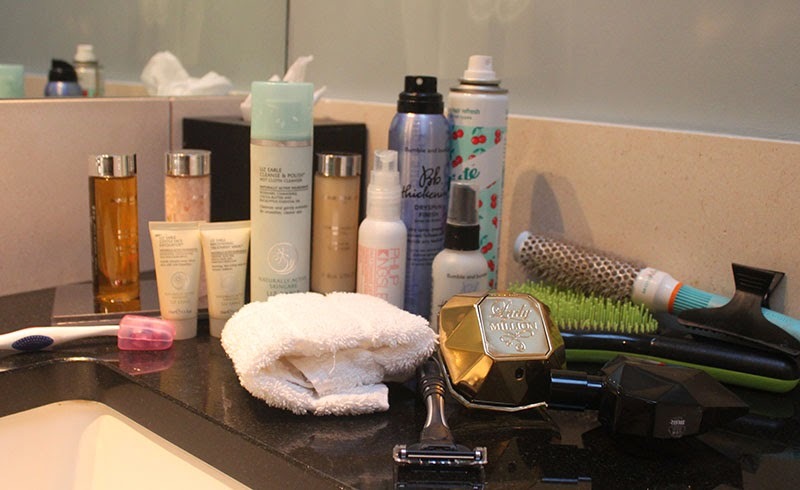 A few weeks ago when I spent a couple of days in York (hotel review here) I decided to take a quick photo of what I took with me in my toiletry bag. I grabbed all of my go-to, easy to travel with products and ran out of the door so fast I forgot a moisturiser (luckily I had a great face mask!) I obviously took the standard razor, toothbrush and toothpaste but we’ll brush over the boring part. 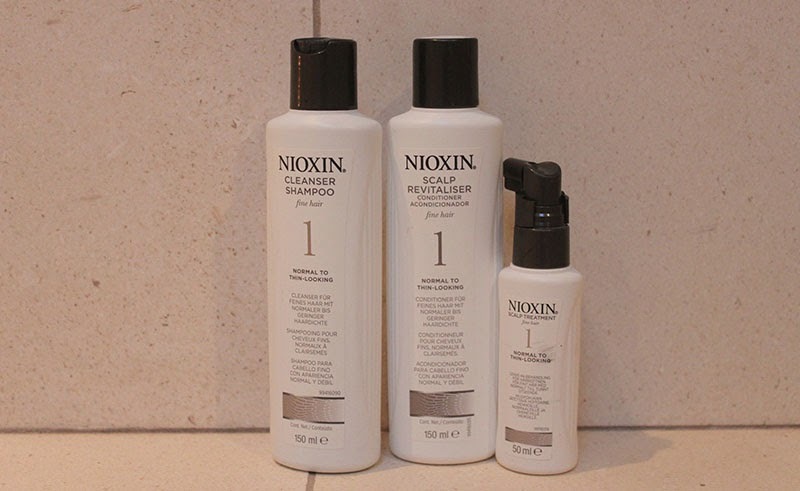 I’ve been using the Nioxin Shampoo and Conditioner £19.60 for quite a while now and would highly recommend it if you are looking to strengthen your hair. Luckily they are quite small as a little goes a long way, I follow this up with the Nioxin Scalp Treatment on damp, towel dried hair. For post shower I took with me the Philip Kingsley Daily Damage Defence Conditioning Spray £7.50 I’ve been using this product daily for about a year. This is a big statement for me as I never use the same products daily, much less for a whole year but this really helps detangle my hair whilst protecting it when I use heat. It also last a really long time I’ve been using this mini size at home as well for a few months now. I also took the Bumble and bumble Thickening Spray £20.50 (for full size) although having basically finished this whole bottle I am still not too sure how I feel about this product. I’ve got a little mini size which makes it a great product to travel with and although I do think it adds a little bit of volume I’m not sure it’s enough to make me repurchase. I’ve instead got my eye on the Bumble and bumble thickening mousse £21.50 which I think would give me the volume I really want. My two emergency hair products are Batiste Dry Shampoo £1.99 incase I wake up to late to wash my hair/can’t be bothered and the Bumble and bumble Dryspun Finish £21.50. It seems everyone raves about this and I actually love it too. If you have fine hair or simply want a little more volume and texture this is a great product to reach for. I’ve had this can for a while now and it somehow still has product in it although I do think I will be repurchasing it as soon as I run out. My two go to hair brushes are the Michael Mercier Brush £14.95 for untangling my hair daily as I feel it doesn’t break my hair but does a much better job that a Tangle Teezer and the MoroccanOil Medium Barrel Brush £13.85 for blow drying. I really didn’t get together a great skincare collection for this day but I just wanted something I knew worked. Liz Earle Hot Cloth Cleanser £14.75 is my usual travel choice as I know it remove all my makeup quickly and easily. I also packed the Liz Earle Gentle Exfoliator £14 and Brightening Mask £14.75 simply as I had two mini sizes. As I managed to forget my face moisturiser I used the Brightening Mask in the morning just before doing my makeup to help prepare my skin. I decided on Paco Rabanne Lady Million and Diesel Loverdose Tattoo as my perfume as I’d happily wear it day and night. Usually I’d take my mini perfume samples with me but as I didn’t have a lot of luggage I felt I could justify a bigger bottle of perfume. I actually didn’t end up getting a chance to fake tan or paint my nails but I thought I would take them just in case. I have been loving He-shi Liquid Tan £31.45 recently and I think it deserves it’s own post soon but it’s pretty dark but applies easily with no lines or mistakes. The Bourjois Magic Nail polish remover £4.99 is also a must have as it is so quick and convenient; smaller than a normal nail polish remover and you don’t need to pack extra cotton wool. I packed my Butter London Nail Foundation and Top Coat as they’re are my current favourite, an OPI shade and my deodorant. It wasn’t the most organised packing but I got all the key and essential items I needed for one night. 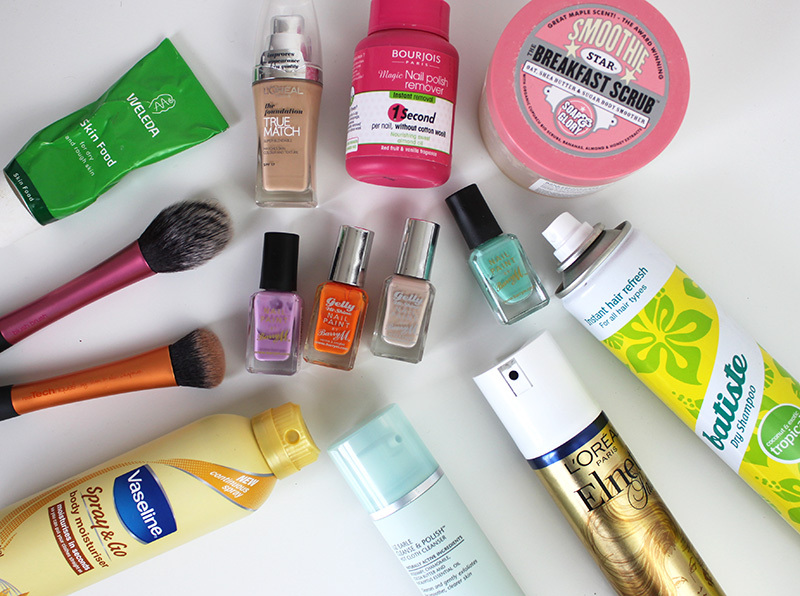 What do you usually take away with you for a weekend away?